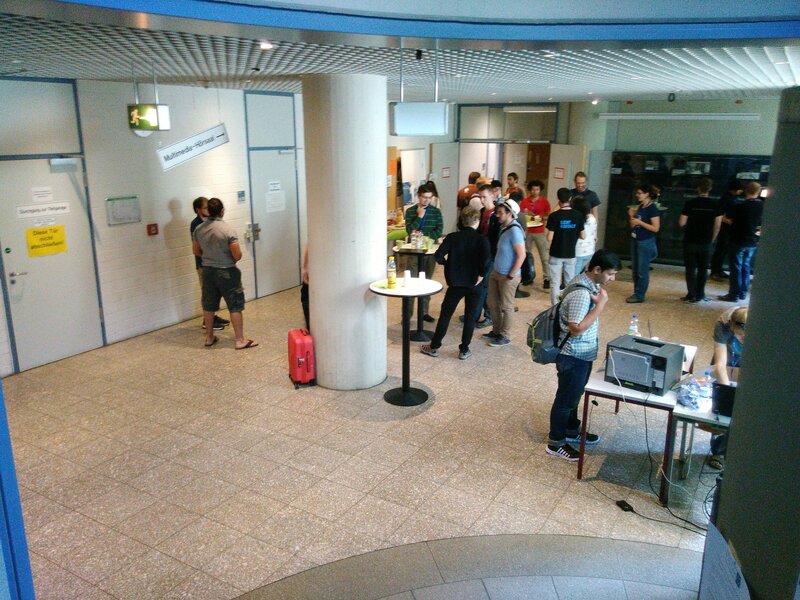 GUADEC concluded last week and we are happy to see that people had a good time here in Karlsruhe. Don’t forget to leave your feedback on the wiki to make next year’s GUADEC a success. We are proud to announce that there was no report of improper behaviour throughout GUADEC 2016. Prior to the conference we had worked hard to ensure that we would have all the necessary safeguards in place to be able to respond properly in case any incident would occur. We feel lucky that we did not need any of these safeguards as we did not observe or receive reports of misbehaviour throughout the conference. In our view this is an indication of how friendly and open the GNOME community is overall. 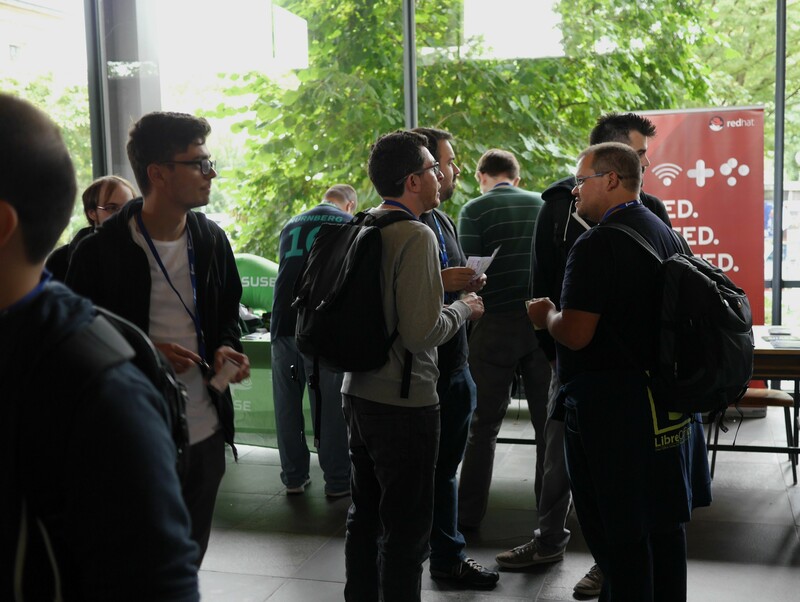 It was great to see this welcoming community gathering at GUADEC once again and we hope to see everyone again at future events! Should you have experienced or observed misbehaviour but have not yet reported it then please get into contact with a support team member or the organizers. It is still important to know about it as it helps understand whether adjustments need to be made in the future. Yesterday, the weather had been pretty good. We could even make use of our pool! The ice cream van was certainly a highlight. Today, we have our second keynote held by Werner Koch. He will talk about issues of centralisation. The interesting hypothesis is that most systems on the Internet wouldn’t work “without access to, say, apis.google.com”. You might know Werner from GnuPG which tries to decentralise as many things as possible. We are sure to find as much inspiration from what he has to say as we had from Bradley two days ago. If will be difficult to pick talks to attend today. Highlights include “a live coding session with GNOME Builder” which will demonstrate how to create a project from scratch, Also, we will see a “summary of the infrastructure that GNOME provides to store secrets like passwords, SSH and GPG keys, and X.509 certificates” which will discuss how cross-platform compatibility can be improved. Another talk in the schedule is on the Chinese government recommending the use of GNU/Linux as well as how user testing works to implement and refine a feature in actual software. We conclude our core days with an evening event at Hoepfner’s Burghof. It’s a beer garden of the local brewery with nice beer and dinner. We expect to start at 20:00. Please bring your badge. municipal museum: housed in the Prince-Max-Palace, which used to be a magnificent retirement home of a big businessman, currently hosts an exhibition about the Südstadt, the southern district of Karlsruhe. Until 18:00. Admission free. Vierordt Bad: If you are craving for some relaxation with sauna and spa treatments after so many conference days, check out this bath house which first opened in 1873. Until 20:00. Admission 10.50 EUR. Gold: A few minutes east of the venue this is a nice bar that also serves some food. You may have experienced a few hiccups here and there yesterday, like a short power cut or lack of coffee after lunch. These problems should have been tackled by now and we’re looking forward to taking up on more challenges! ;-) We also couldn’t do it without the great help of all the volunteers. Most of the success can be attributed to the people who generously help to make GUADEC a success. If you’re interested in yesterday’s talks, we have very good news for you. The recordings are already available. Enjoy watching the videos. But the talks are only a tiny part of the GUADEC experience, so don’t use the instantaneously available videos as an excuse to not come to GUADEC! Today, GUADEC starts into day 3 with more talks and, probably more importantly, more ice-cream. Read on to learn about the details. Todays schedule hosts a diverse set of talks including a talk on Meson, which is an exciting new build system which promises to make building your software nicer and faster. So everybody who is not happy with the current state of the art will be interested in seeing that. We will also hear a talk on using GNOME technologies to build an automotive platform which will certainly be interesting to everyone who is interested in seeing Free Software being used in real life. The talk will discuss “Apertis, [a] truly a unique product in the automotive world” including its security properties and links to flatpak. We also have a surprise for our guests! 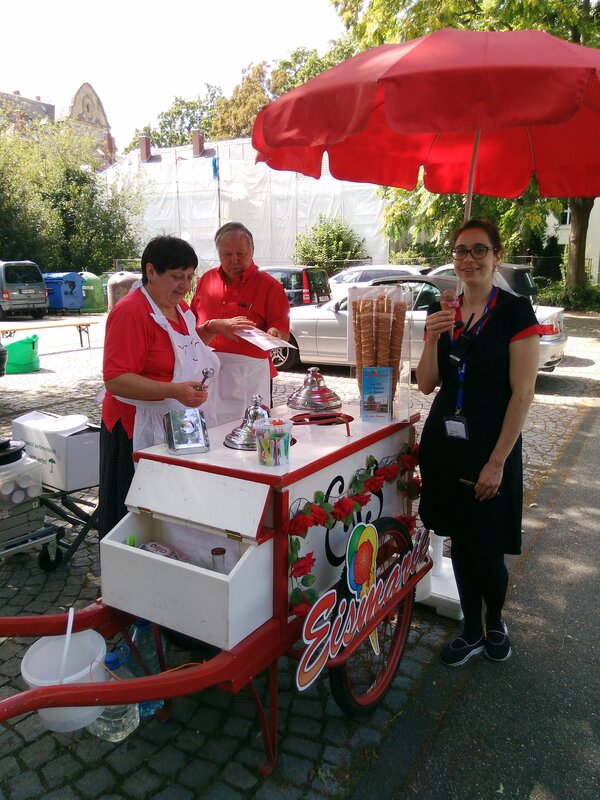 We will have a vintage ice cream van coming to serve three different flavours of ice cream. We hope that you’ll have enough time and a sweet enough tooth to finish what is being offered :) The van will be available from 13:30 until 15:00 or so, so make sure you’ll be there or be square. In the evening we are going to z10, a pub run by students for over 30 years now. You should have received some tokens with your badge which should get you a free beer. The place will be open until late. Don’t expect food to be available. Zoo: Karlsruhe’s zoological gardens. The biggest park within the city limits. Watch them feed penguins (15:30), elephants (15:50), or hippos (16:00). Open until 18:00, admission 10 EUR. Freilichtkino: An open-air cinema at Schloss Gottesaue. Tonight, you can watch Angry Birds the movie. Likely to be German only, though. Starting 21:00, admission 9 EUR. Yesterdays workshop day has been quite successful. Although the start was a bit more complicated than anticipated we managed to get everyone into their workshop rooms and put their hands on GNOME technologies. We also had an arcade machine loaded with pacman to beat each others high scores. Today GUADEC starts day 2 with the core days which feature talks of a wide range of topics. Today, the first day of our talk days begins. We will be seeing an interesting keynote held by Bradley Kuhn. 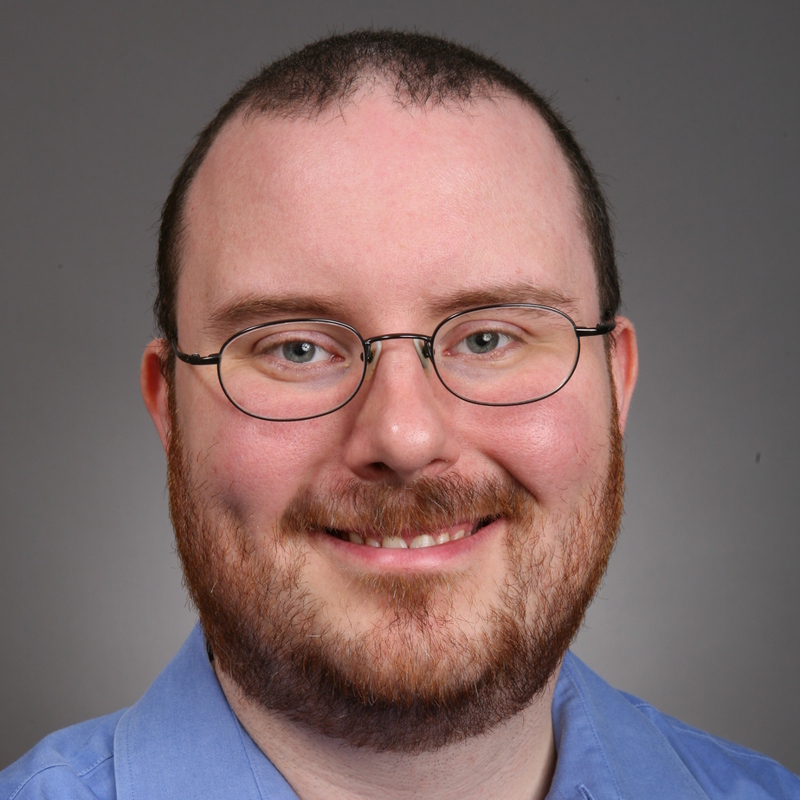 He will talk about “Why GNOME remains best poised to deliver software freedom to everyone, how GNOME continues to be the best welcome-mat for those who want software freedom, and why GNOME remains absolutely essential to the advancement of software freedom for decades to come”. We are very excited to have Bradley talking to us and we expect it to be influencing the discussions held in the hallways over the rest of the conference. The conference program has other highlights, too. We will hear about WebKit security issues which are not patched by major distributions. The talk will discuss how WebKit handles security issues and how it’s different from GNU/Linux distributions. We will have a talk on Free Web Services which promises to discuss questions like “How much control do you still have? Do you know what is happening to your data? Do you have the freedom to switch to a different service?”. In case of serious events you need to call the European emergency number 112. If you are in trouble or seeking assistance regarding GUADEC, we have a help line set up which should cover you: dial +4915153778790. In the evening, we plan on going to have a picnic in the Fasanengarten, just north of the venue. Starting from 19:30ish, we will set up some light food (think: Sandwiches, salads) and some non-alcoholic drinks. We will bring a frisbee, football, and probably some other things to play around with. Feel free to bring your own equipment. Schlosslichtspiele: They illuminate the beautiful baroque Karlsruhe Castle with 15 minutes long movies. Today, they have a special Jazz night starting from 19:30. Admission free. ZKM: Certainly ranking very high on the list of things to see in Karlsruhe. It’s a world renown multi media museum. No admission Friday’s starting from 14:00. Open until 18:00. Today, GUADEC 2016 commences with a workshop day. We are offering four different workshops. We are very excited to be able to offer a full day of trainings. We still have a few seats available, so head over to the registration if you are interested. In the “package you app with Flatpak” workshop the attendees will learn about the Flatpak containerisation system. The GStreamer workshop will be about building a simple media player in Python using the GStreamer framework. Attendees of the “Contributing to Free Software” workshop will learn about basic git usage, code review and continuous integration. The last workshop, “Make your first contribution to GNOME” will cover retrieving and building the code, looking at bugs, updating the code and finally submitting the change. We have assembled some travel information for your convenience and some more general information which you might find helpful. If all fails or you need assistance, dial the GUADEC helpline: +4915153778790. After the workshops have finished, we are inviting the conference attendees to a pre-registration BBQ at AKK starting at around 20:00. The AKK is an almost 30 years old organisation dedicated to spreading culture and facilitating communication. The AKK is supporting GUADEC with a lot of infrastructure and tooling. During that BBQ we try to hand out as many badges as we can to make the registration on the following day less stressful for everybody involved. So please try to come to the BBQ and bear with us while we shake out remaining bugs. As compensation, we’re offering a few steaks. Drinks are to be bought cheaply from AKK. Another reason why we want you to be around is that we will be needing volunteers for building up the main venue. You’ve probably been expecting the list of talks and we’re happy to be able to deliver. Please head over to the schedule page for more information. You can even install an app and load the schedule file so that you can bookmark talks and get reminders. We are also excited to be able to present you our two keynotes. We will have Bradley Kuhn from Software Freedom Conservancy talk about the future of the (Free) desktop. Bradley is probably most known for his GPL enforcement work. We also have Werner Koch from g10code talk about our freedom when we engange in centralisation. 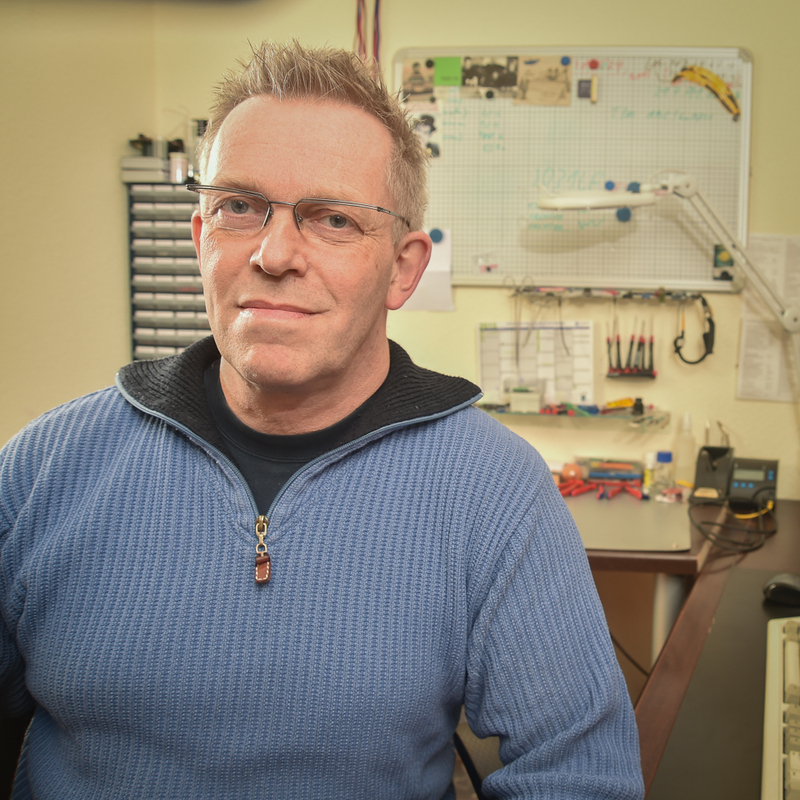 Werner is hacking on GnuPG, the software that uses strong cryptography to ensure that people can communiate freely. It’s been around for almost twenty years now and so has Werner. Continue reading the abstracts on the keynotes page. 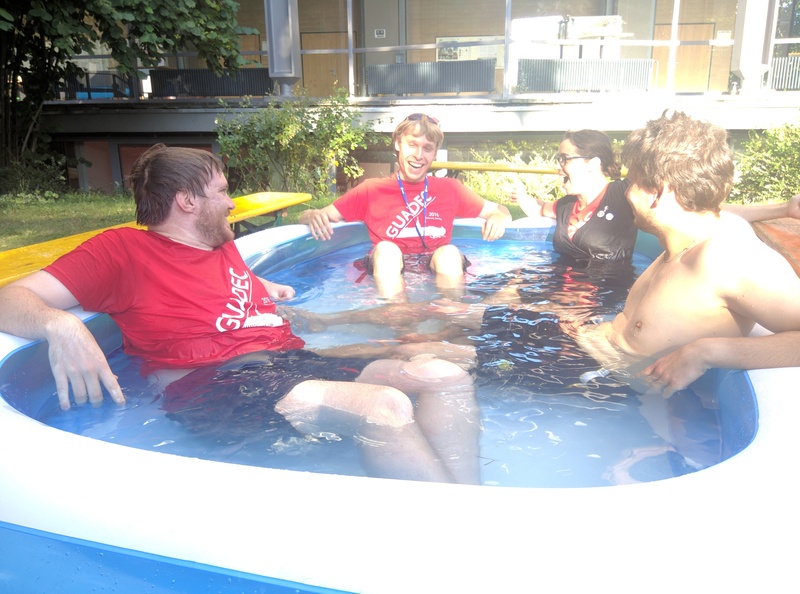 Oh, and bring some swimming gear to relax in the pool between the talks! We have great news for employees wanting to attend GAUDEC: GUADEC is recognised as an event for “educational leave” in certain German states. That means, depending on where you are employed. that you are entitled to paid leave to attend GUADEC. Because the details vary quite a bit due to Germany being federated, please approach us if you are interested in taking educational leave. Solltest Du Interesse an der Bildungsfreistellung haben, melde dich bei uns. For this year’s GUADEC our Chinese friends CS2C decided to sponsor the event. Because GUADEC is, at least by name, a European event, you might wonder what excites them so much about GNOME, that they decided to support not only our Asian event, but also the European one. We had the opportunity to ask them! 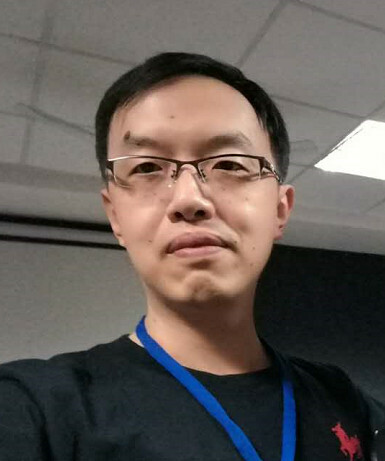 Let’s hear what Michal Lee, Public Relations Director of CS2C as well as volunteer in the GNOME Chinese community, has to say. Hi Michael, can you briefly explain to us what makes you sponsor GNOME events over and over again? CS2C and GNOME China have been cooperating for more than 7 years. We believe GNOME has a very steady and trustworthy desktop environment. As our company grows, we hope to have closer connection with the Free Software community. I used to be the Chairman of GNOME Beijing team and I am the initiator of this cooperation . I am very familiar with the GNOME community, so it is my preferred partner. Sponsoring GNOME is the first step, we hope to participate in more activities, so as to learn more about the rules and get more opportunity chances in the future. We are very grateful for that. But what your company actually doing and how does it relate to the GNOME project? CS2C is the largest Linux enterprise in China. 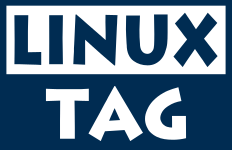 We have been developing Linux-based operating systems since 2000. In the beginning, our desktop supported both a GNOME as well as a KDE environment. Later GNOME became our exclusive choice. After using GNOME in our desktop and server products for 16 years, we have already come up with our own ways of customizing GNOME to cater for our Chinese customers. Our products, which generate annual sales in more than 2 million, have been deployed in many Chinese governments and industries in various domains such as education, medical, and transportation. How hard is it to market the values of Free Software to your customers and what strategies do you have to do so? In China, we usually name it “open source software” instead of “Free Software” :-) Chinese open source software was originally represented by Linux. Before 2012, the most difficult problem is how to get our customers to know the open source software including its merits and faults. Since then, Chinese market environment has changed, as most IT users became familiar with the software after our promotion. We will prove that open source cannot only replace Windows, but also be safer and meet the environment of big data and cloud computing. What’s more, we will provide the users in various industries with more customized solutions. What do you think could GNOME do to make it more attractive for people and companies in China to use Free Software? Actually, I am also wondering about this question. GNOME gets a even cooler interface design which changes a lot. However, Chinese users are not used to the new design, while they prefer the old one. We modified GNOME 2 to a Windows-like version for the sake of our customers’ habits. The results are satisfying. As far as I know, open source software and business software are both for problem solving, so we didn’t blindly pursue the advanced technologies (we believe open source community did well on this), but paid more attention to the requirement of our users. In addition to the optimization of the interface, we also customized GNOME for the elderly and the medical industry etc., and the simple desktop environment is more user-friendly. Therefore, we won the trust of our customers. Questions were asked by Tobias Mueller of the local organising team. If you or your organising would also like to sponsor this year’s GUADEC, visit our sponsors page or get in touch via email: sponsors@guadec.org.